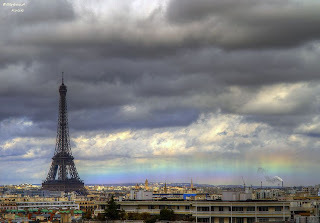 Spotted this amazing photo of a "fire rainbow" in Paris. 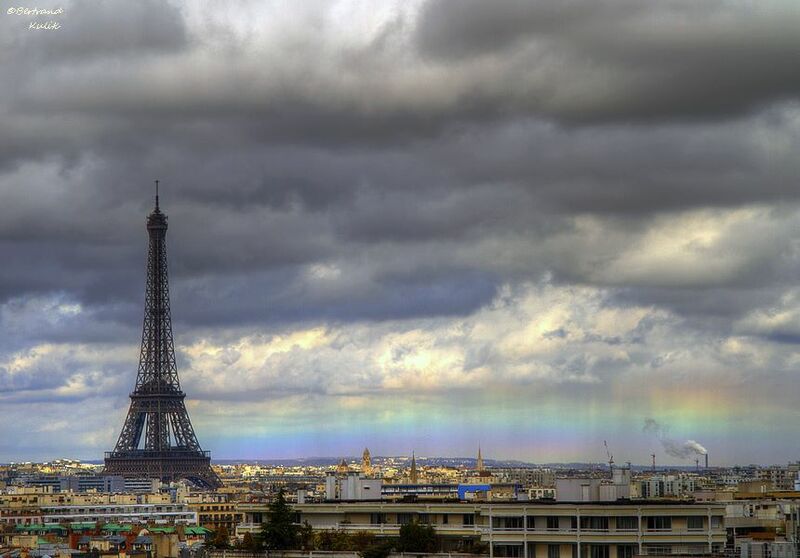 It appears to be a horizontal rainbow just next to the iconic Eiffel Tower. Although, technically, it's not supposed to be called a "fire rainbow" because, according to Wikipedia, this "circumhorizontal arc" is neither a rainbow nor anything to do with fire. Duh...!